“New music for a new audience, melodies that people could relate to” this was Tania Kross’ goal when she started her new project Krossover. In this project she takes classical music back to the larger audience.The compositions are not what you expect from an opera album. Instead of taking existing, famous opera works, Tania asked the composers of today’s popular music to write the music for the project. The result is breathtaking, classical music which touches you from the start! Once upon a time the music that we now label as ‘classical’ was the popular music of the day. It was only in the second half of the 20th century that the so called contemporary music became so abstract that the connection with the general public got lost along the way. During her career Tania experienced that audiences still love a beautiful melody. She started looking for an idea that would bring classical music back to where it belongs: the people. “Wouldn’t it be great to create a cultural environment in which going to the opera would be as natural as going to see the new James Bond movie?”, she thought. That was the moment she decided to ask Huub van der Lubbe, Spinvis, Ruben Hein, Robert Jan Stips, Lucky Fonz III, Marinus de Goederen, Martijn van Agt, Martin Fondse, Martijn Konijnenburg en Odilo Girod. As a producer she asked Reyn Ouwehand, a producer who worked with popular Dutch bands like Kane. Bob Zimmerman proved to be the perfect arranger to translate these pop songs to the language of the symphony orchestra. "(...) there is so much that lives up to the expectations and I hope Tania Kross will continue exploring the possibilities for crossover in the future." "Radio 4 Award: Tania Kross rewarded for her efforts to bring classical music as close as possible to a new and younger audience"
"The songwriters, [...] Not the least in their kind, and the result of it, [...] is pretty good. " "She invited contemporary Dutch pop composers to apply classical techniques to classic themes, creating new music with strong melodies rather than modernist stringencies, the results sumptuously arranged and sung with poise, power and precision." 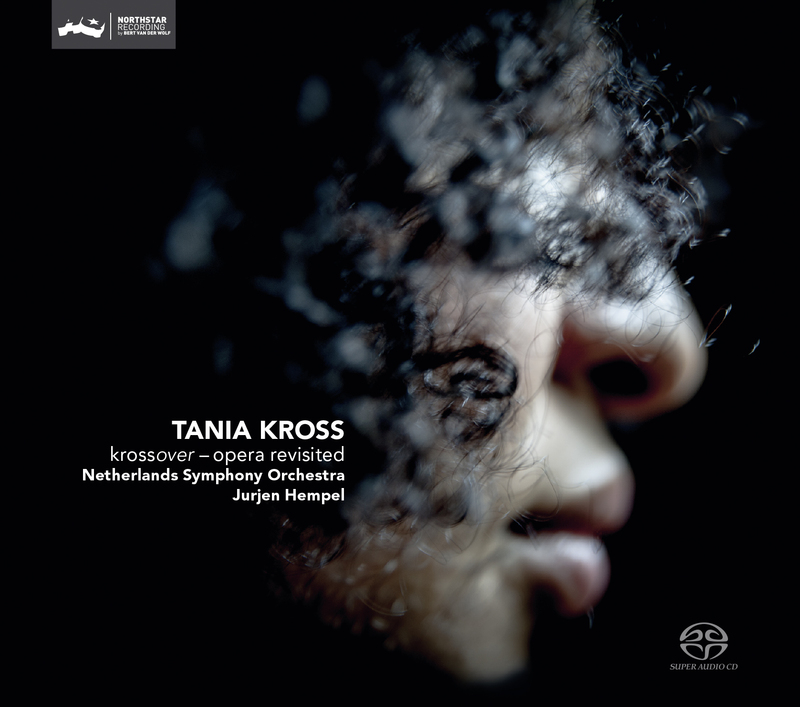 ""Tania Kross is a singer with enormous charisma. I love her style and her 'performance'(the term "theater animal 'is to be understood as a warm compliment)""
""For this classical music it breathes very much the atmosphere of Broadway. Great merit of this project is that the concept of Popera has a meaning! Opera Revisited is a subtitle with a wink and fingers Krossed""
"Together with the Nederlands Symfonieorkest Kross shines in new arias and duets." ""As you can see, I can not get enough of it. The songs gives me, how crazy it may sound, a sort of consolation""
"They sound as warm, easy listening-like, sometimes tendencing to film music repertoire and songs expertly arranged for symphony orchestra." "On this album you can hear special collaborations between the singer and pop musicians like Lucky Fonz, Huub van der Lubbe and Spinvis. " "The songs were composed for Kross, that were converted in symphonic songs by producer Reyn Ouwehand and arranger Bob Zimmerman, balance between pop and Puccini. Golden Leaves is beautifully fragile and Undyed (with string intro) sounds warm. That also applies for Rebiba: melancholic love music by Lucky Fonz III and texts by Kross herself."" "Tania asked the composers of today’s popular music to write the music for the project. The result is breathtaking, classical music which touches you from the start!"